Merry Christmas and to all a goodnight! 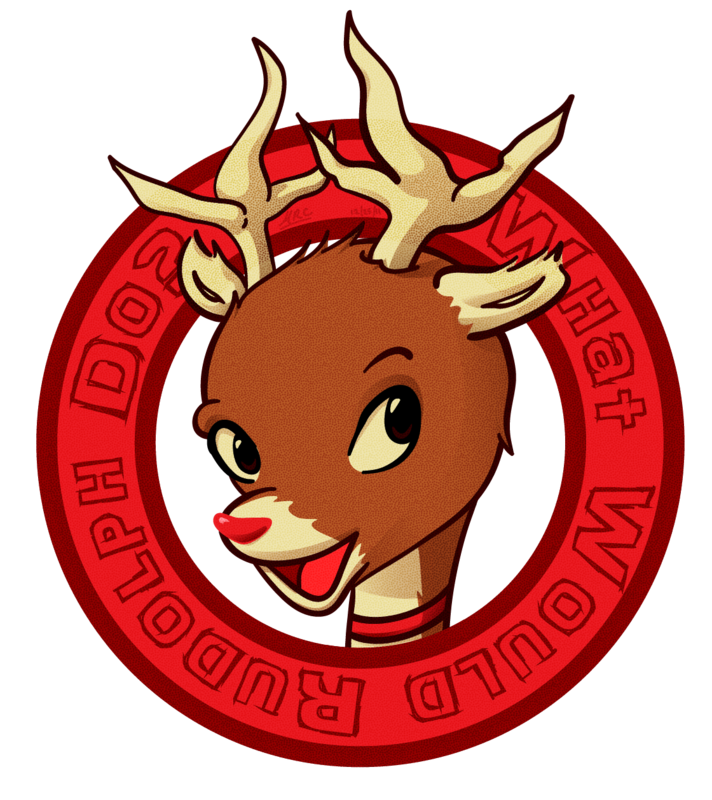 Also, when times are tough during this holiday season just stop and think…What Would Rudolph Do? Welcome to the first Artist Spotlight post! That’s right, I’m taking time to showcase the work of other amazing artists! I choose you, Monkey Sprinkle, to be the first artist I highlight! 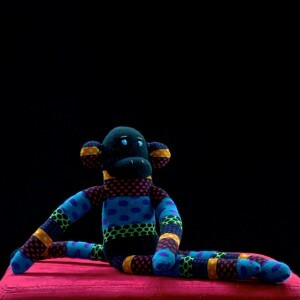 Monkey Sprinkle, aka Ann Sprinkle, is the Sock Monkey Queen. Seriously, she’s building an army of cute & cuddly family fun. Enter her domain and you will be greeted (and watched) by a great many delightful fabric creatures. 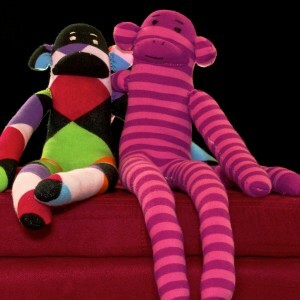 MonkeySprinkle.com – Ann’s official sock monkey blog. Info and pictures for all! 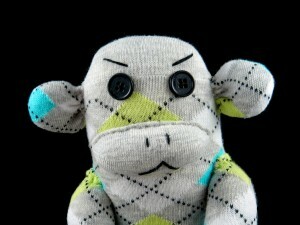 Monkey Sprinkle @ Etsy – The official sock monkey store. Go buy one! Monkey Sprinkle @ Facebook – The official FB fan page. Show some love! Now, there are lot’s of sock monkeys out there, but Ann’s are really something special. Each little guy or gal is handmade with love and affection in a pet free environment (yay for not having to worry about allergens!). The time, effort, and thoughtful consideration Ann places in the creation of every Monkey shines through with their unique personalities. 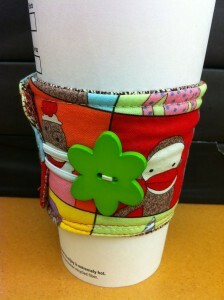 Ann has even ventured into the land of sock monkey themed cup cozies! 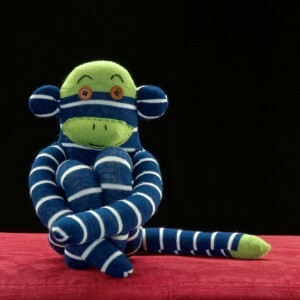 I highly suggest checking out Ann’s blog and Facebook page to stay abreast of her latest sock monkey adventures. And even more than that, I suggest heading on over to her Etsy shop to buy a monkey. 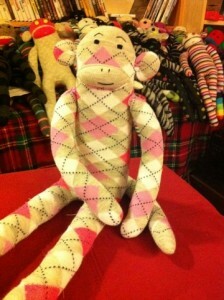 You can choose from the available one-of-a-kind designs or you can custom order your own monkey. Seriously, how cool is that? So, go give this awesome artist some love!